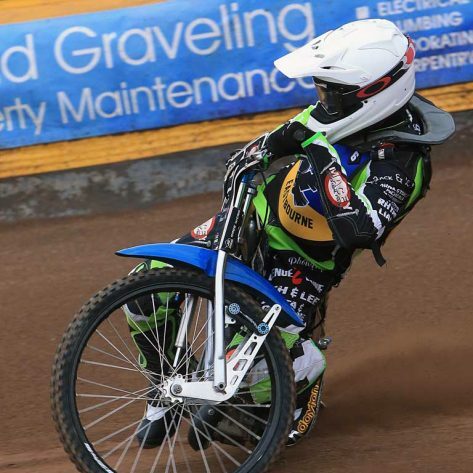 Speedway is a fantastic, adrenaline fuelled team sport watched by a local; national and international audience covering a range of demographic profiles. We have a useful template below to give you an idea of what is available. 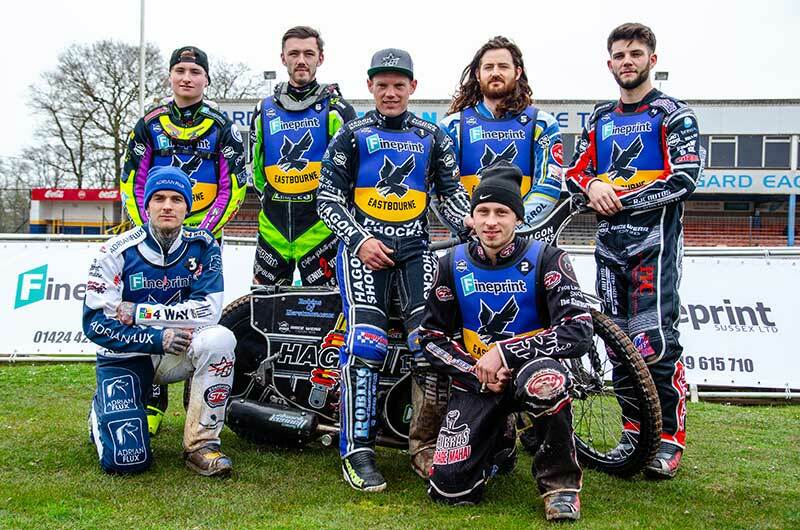 However; I am a firm believer in creating a “bespoke package” for any “would be” Sponsor or Advertiser, however big or small your Company, and whatever the size of your potential investment in to the 2019 EASTBOURNE EAGLES Team or our individual Riders. If one of your requirements is for us to drive Business and Leads your way; we can do this via click-back links on our totally revamped 2019 website and via Programme, Stadium, Racewear; PA/Tannoy announcements. We featured a number of times in the Autumn of 2018 on ITV Meridian News Broadcasts, are regulars on the BBC Sussex/Surrey Sports Programmes and with our excellent and experienced Media and Press Team harnessed and fully supported plan a major Media Campaign before the start of the 2019 season, with some “very exciting plans” in the pipeline. In the early summer a major new Feature Film “ADVENTURE BOYZ” will launch at the 2019 CANNES FILM FESTIVAL and we believe will give Speedway in general, and EASTBOURNE EAGLES in particular a major publicity boost, nationally and globally, as a significant number of Action Scenes and much of the Plot features Speedway action shot at Arlington in 2018. Our 2018 Sponsors will see their logos / adverts on the BIG SCREEN at Cannes in 2019, and the launch of the Film is sure to attract major new interest in 2019. We also plan a major expansion of our Community Programme in 2019, supported and Sponsored by HG Aerospace, one of our aims is to attract NEW YOUNGER and RETURNING fans to Speedway. 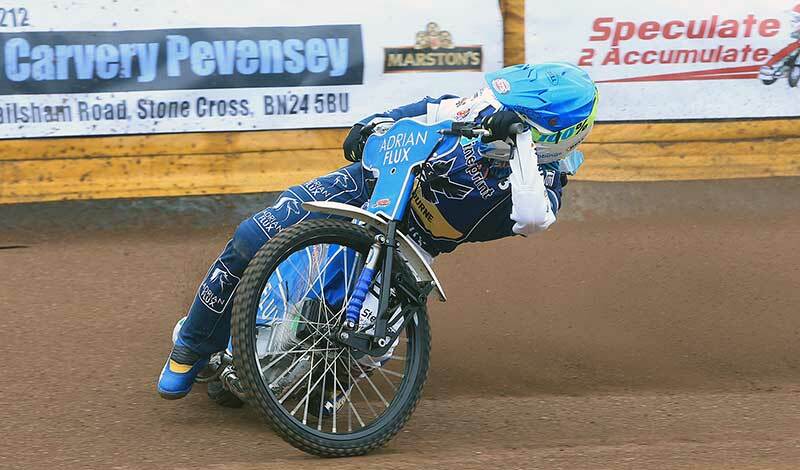 We ran a small pilot at the end of the 2018 season, attracting 500 new fans in 5 Meetings, a significant advancement, and a new young and dynamic customer / client stream, not only for Eastbourne Eagles, but for all of our Sponsors and Advertisers. For further information please e-mail me by clicking here or alternatively, use the Contact form at the bottom of the page. 100 complimentary entry tickets for use throughout the season + and further others at concession price. 50 complimentary entry tickets for use throughout the season + and further others at concession price. 25 complimentary entry tickets for use throughout the season + and further others at concession price. We are able to build BESPOKE Corporate and Sponsorship Opportunities inside and outside of the above GOLD / SILVER / BRONZE on request. Our new channel Eagles TV Offers a host of Partnership and Advertising Opportunities. As an Eagles TV Partner, you will have a vital part to play in the growth of this exciting concept. As a Partner you will enjoy a full static webpage advertisement logo driving customers to your business, regular interactive advertisement and acknowledgement on the Eagles TV Channel, your Company Logo on our TV Studio Interview Board and the opportunity to work with our Marketing Experts to develop a bespoke 10 minute advert to be shown on the Eagles TV Channel at regular intervals. Costing from £500 per annum or £60 per month instalments this is a fantastic Partnership opportunity advertise across 2 specific portals, the Eagles Website and Eagles TV . As an Advertiser on a one-off Event or short/medium/Long Term advertising plan, from as little as £40 you will have an Eagles TV interactive web-page advert to support your Business, Event; Memorial; Group; Birthday/Wedding; in fact anything you wish to publicise on the Eagles TV webpage and also on the Eagles TV Channel. Costing from £40 with affordable bespoke pricing plans this is an ideal way to advertise across 2 specific portals, the Eagles Website and Eagles TV. Designed purely for brands or companies who want a great night out watching speedway action in the company of colleagues or clients. Watching the thrills and spills from an exclusive section of Arlington with a panoramic view over the whole track, our race night sponsor package is a complete, alternative night out. Our Heat Sponsorship packages have now sold out. Huge thanks for all of your support. (we have a number of “Memorial matters” to acknowledge and we propose to offer those FREE of charge to be added to Title of each race e.g Race Sponsored by ABC Limited in memory of Tom Sawyer – the memorial announcement need have no link to the corporate Sponsor and we will match Sponsor to Memorial by mutual agreement). Our Race Jacket / Race Apparel Sponsorship packages have now sold out. Huge thanks for all of your support. 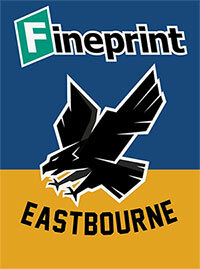 For the 2019 season the Fineprint Eastbourne Eagles will revert to the traditional Body Colour. Personally signed actual Body Colour Presented by the Rider at the End Of Season Presentation Awards. Framed Photograph with your sponsored Rider taken by our Official Club Photographer at a meeting of your choice. A Guided Track Walk with your sponsored Rider at a meeting of your choice. 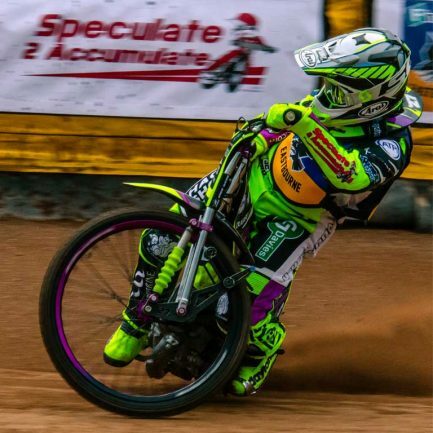 Having spent 4 years in the NATIONAL LEAGUE the move back up to Professional Speedway means that we are now enjoying the spectacle of watching FULL TIME Riders, many of whom will race in 2-3-4 Countries during the season. They are therefore much more organised in their own Individual Sponsorship and some have specialists to help them. IF you would like a direct introduction to any of our Riders, PLEASE contact me directly, and I will put you in touch with them once you have completed a simple Contact Form to outline the levels of help that you are able to offer. For all your Sponsorship and Commercial queries, please get in touch with us via the contact form below.